Last week we shared our latest documentary, Our Journey Home. It explores just how huge a role home has in shaping who we are. Now that the film is done we wanted to take a moment to share some technical notes regarding the piece with all of you. First we’ll share an overview of the gear we used and briefly go over how and why we used them. From there we’ll break down a few of the key scenes that we enjoyed the most, and share some insights about what we learned in the process. Ready to nerd out with me on this tech talk? Let’s do it. In telling any story there are a million decisions that need to be made to get from concept to finished film. The trick is making those decisions with consistency. Lighting ratios, shutter speed, camera choice, lens choice, movement, frame rate, white balance, picture profile, aperture, composition and on and on and on—there are a million decisions made in every..single..shot. Then compound that by the number of shots that make up a feature length film and you’ve got one heck of a decision matrix to sort out. Whether you realize it or not, the technical choices you make all add up to represent a particular perspective of the story. Think about it this way. Each component that goes into a shot, each one of those million decisions, is a layer in the film. The more your layers that point in the same direction—the more they resonate, and the stronger your film will be. But how often do we press the record button before fully considering all the options? Now let’s be realistic, you can’t consider every option for every decision for every shot. It’s just not possible. But the more we realize how our choices impact the story, the more decisions we can make ahead of time, and the better we’ll be able to react to the unpredictable. So how do we make all those decisions with consistency? Our Journey Home was made with Muse, our storytelling process, and we use a set of 5 keywords as a filter to keep us aligned with our purpose. From locations to characters to lighting setups and camera selections we always fall back on this set of keywords to help us make decisions in a story-relevant way. These were the keywords that our team and the client agreed on together. Those are the 5 keywords that define what we are trying to say—what this documentary is all about. As the DP, it was then my responsibility to take those keywords and blend it with Patrick’s vision, effectively interpreting emotion, personality, and purpose into technical decisions. That isn’t an easy feat. See, it’s natural to be drawn to the beauty of an image. The magic of lens flare at golden hour, the epic-ness of a glorious aerial, or the ever elusive floating dust particles suspended in the air. Beautiful cinematography isn’t about making a beautiful image, it’s about making the right image that serves the story. When we set out to tell this story, one of the first big decisions we made was which camera we were going to shoot this film with. It’s a huge decision and affects many other parts of production (like lens choice, lighting packages, speed) and post-production (storage space, editing workflow, color, etc.). Looking at the set of keywords, we see a wide range of emotions and feelings. Home (and the lack of home) lie at two opposite ends of the spectrum when it comes to the look and feel of the visuals. Lost is cold and negative, while Empowerment is inspiring and positive. Awareness and Bridge are more neutral and impartial. Our keywords mean we need a camera that can help us create drastically different looking scenes with a modest budget, short timeframe, and often with minimal crew and lighting. After all, this is a documentary that explores homelessness so there were no retakes or ‘back to 1s’. Additionally we were regularly faced with harsh and unpredictable environments, often with very little time for setup. Because of that, we elected to shoot it primarily on the Red Epic, offering us both incredible dynamic range to handle less than ideal lighting conditions and a RAW codec to really push the image in post-production. Some might argue that the Epic is too big, too heavy, and too slow for live-event documentary work but we found the size and functionality to be a perfect fit. Stripped of the luxuries often found on narrative and commercial sets we were able to keep the camera package small and mobile, allowing us to maintain a small footprint and stay nimble like a ninja. Once we’ve selected a main camera we then need to pair it up with the proper camera movement and lighting for all the different mini-stories told within this longer feature. We leaned heavily on the keywords and made specific selections based off which keywords a particular scene represented. If you find this helpful, you can download the full 25-page style guide at the bottom of this post for more in-depth notes on technical choices. But before we get there, I’d love to share with you 3 scenes from the film and look at how we shot it, why we made some of the decisions we did and what we learned from each one. 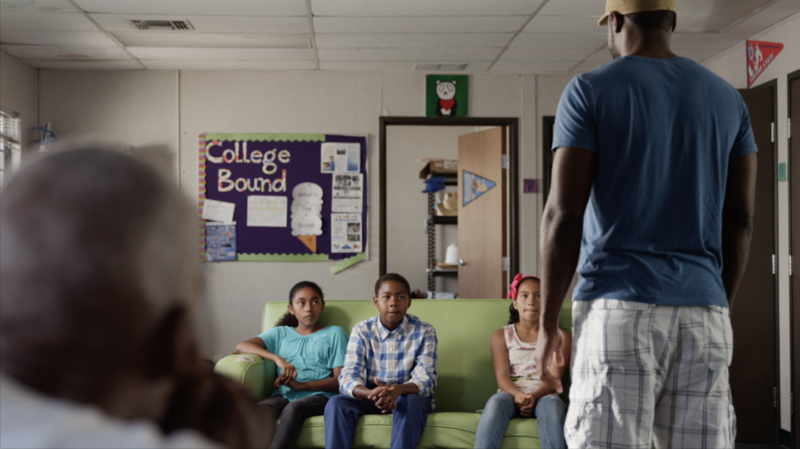 In the ending scene, where Byron is mentoring the kids, we were in a relatively small room for four kids, Byron and his entire family, plus the crew. Those of you who have experience in lighting know that the smaller the room, the more difficult it is to light. In addition to that, we flew in the day of the shoot and had minimal setup time. Yet despite all of those challenges, this scene is one of the most powerful ones in the entire movie. Not because it was inspiring, and not solely because it looked great, but because it felt authentic. And a huge part of what made that successful was because it was covered naturally, with no retakes, no stopping, one camera coverage, and in a scene all lit by one light. Looking at our keywords this one definitely screams Empowerment, and we wanted it to be full of hope and inspiration. That mean we wanted bright, soft daylight to represent the vast opportunities that lie ahead for those kids. 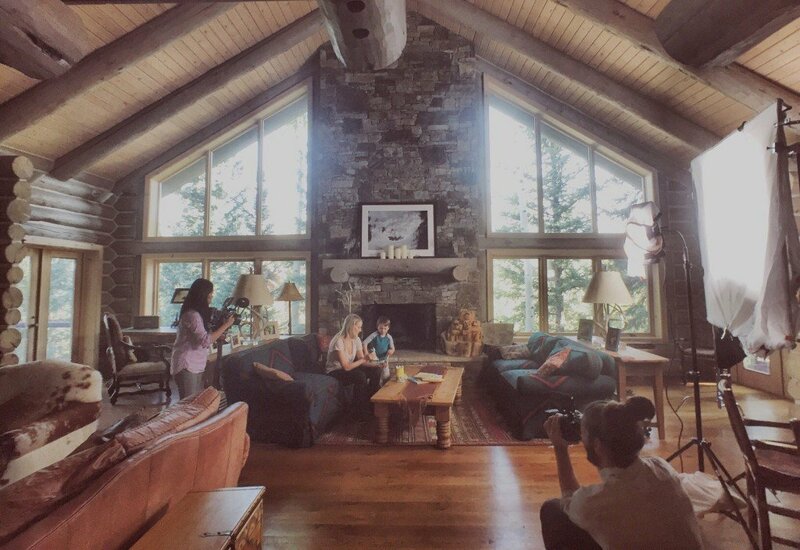 In order to achieve the look and feel we wanted within the time and space constraints we opted to use just one larger light source, the Profoto 800W HMI, to light the entire scene. We walked in and listened to the light before deciding to place the HMI outside the window so we are keying with the natural light, not fighting it. We then rearranged some of the furniture, pulling it off the walls to create a bit more room and depth. All of this, in under 45 minutes. Lighting a set is like traveling from point A to point B. There are many paths that can get you there, but there are certainly ones that are more efficient, more fun or more challenging. And speaking of different paths, this next scene was a fun one to tackle. 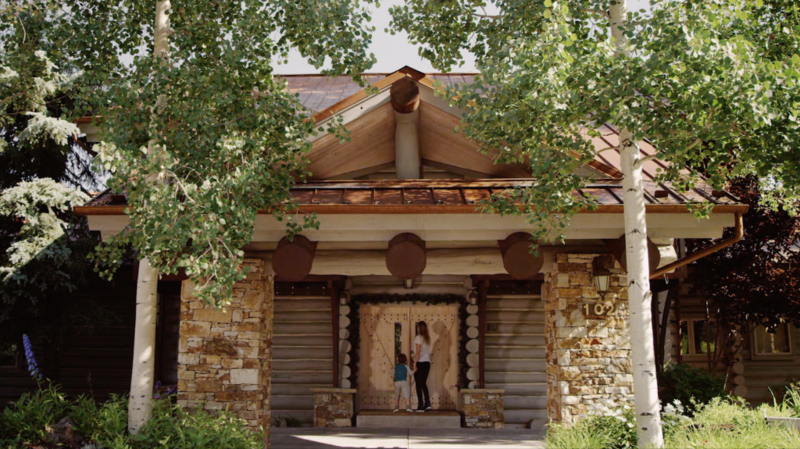 For the opening of the film we were invited into Jewel’s house to conduct an interview with her, where she was directly addressing the issue and inviting viewers to watch the film. Because there is a direct call to action it’s best that she speak directly into camera; it also has the added benefit of distinguishing it from the interviews in the film itself which are just slightly off-camera. For anyone who’s ever tried to look and speak into the barrel of a lens you know how difficult this is. It’s way easier talking to an actual human. This is the first thing people see—and it’s massive that she is comfortable and can make that emotional connection with the viewer. So what do we do? We bring a custom iPad interrotron! Yep, it looks and sounds scary but it’s really not. First developed by documentarian Errol Morris, this new version runs on iPads and is much more streamlined. It’s basically the same as traditional teleprompter setups except instead of text, Jewel sees Patrick, who’s interviewing her, on the screen. When she looks at him, she’s actually looking right into the lens. Pro-Tip #2: Try to provide visual separation so the talent isn’t tempted to look off-screen at the director (in person). Put the interviewee close enough so she can hear the questions, but ideally there’s a flag between the talent and the director. We would have done this but we ran out of time. And you know what, at the end of the interview Jewel made a comment that in all the hundreds of interviews she’s done she’s never done one like this, that often times directors would just ask that she do her best to look into the camera—and that this was a much more pleasant experience. Another experience I will never forget is our time with Rosalio in the ride along with the police car. If we were on a Hollywood set doing a car scene we’d likely have multiple cameras mounted on the car, one mounted on a jib on an SUV and possibly even aerials with a real copter and gyro. But this isn’t a Hollywood set and we certainly don’t have that kind of budget. Those of you who know us know we regularly hang out of minivans and out the back of SUVs. That’s pretty much standard protocol for us. While we don’t recommend that to anyone and we always stress the importance of taking proper safety precautions it is a remarkably low-cost and effective way to get smooth tracking car shots. Doesn’t that look fun?! We had SO much fun. Well it was all fun and games until I asked Patrick to drop low and skim the pavement to do a mock jib shot, bringing it up from the ground for more movement…..and we run over a puddle. I didn’t realize it at first but as the camera came up I realized it was SOAKED in dirty rain water. My heart skipped a few beats. Panic set in and both of us hailed “May Day!” for Maribeth to stop the car so we can do a wipe down. Luckily for us after some hair dryer action back at the hotel the camera was as good as new. But you wanna know what the coolest thing was? 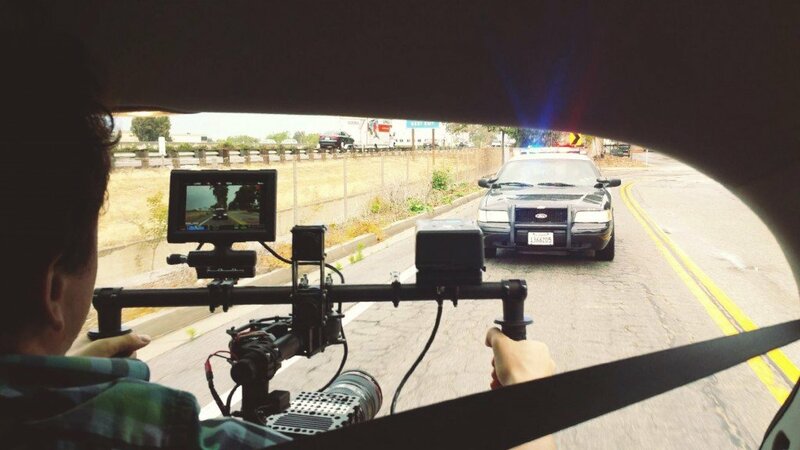 You don’t have to worry about getting pulled over for filming out the back of a car when you’re filming WITH the police! Thanks for joining us on this journey to make this documentary. It’s always challenging taking on large projects like this and it’s so wonderful to have the support from this community. It means the world to us to be able to do this and share it with you. 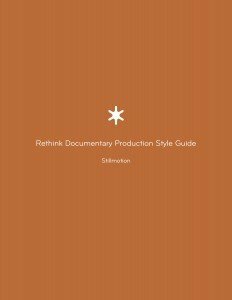 Oh and don’t forget, here’s the free style guide available to download for those interested in learning more about how we shot the doc. 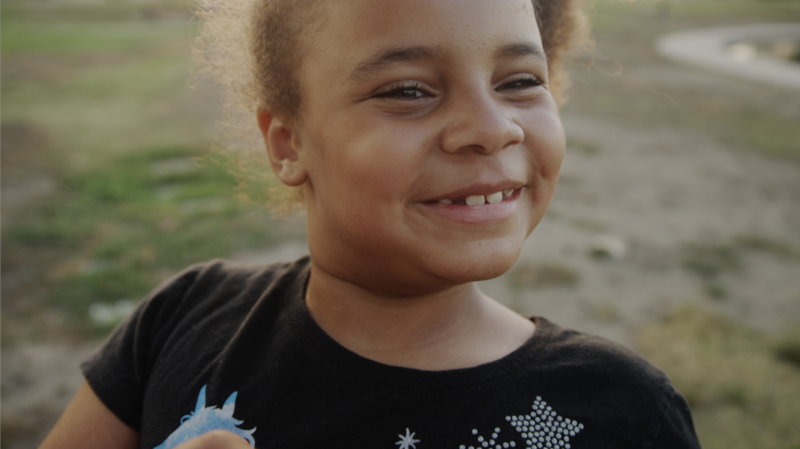 And in case you missed it last week, here is the full film Our Journey Home. Share your comments or questions about Joyce’s approach to these scenes from Our Journey Home in the comments below! Thanks Gione! Glad it help shed some light on some of the choices we made throughout the project. Sound is addressed in the style guide. For the mentoring scene with Byron and Jewel’s interview we hired professional sound recordist to handle the audio so I’m not 100% sure about gear they used. In Rosalio’s ride along that was sound design done in post to really build out the environment in the scene. Joyce, in the production photos, I see a second camera. Is this to pick up additional angles for presenting the interview, or some other purpose? Hey Fred, we had the second camera on Patrick for the feed into the prompter. 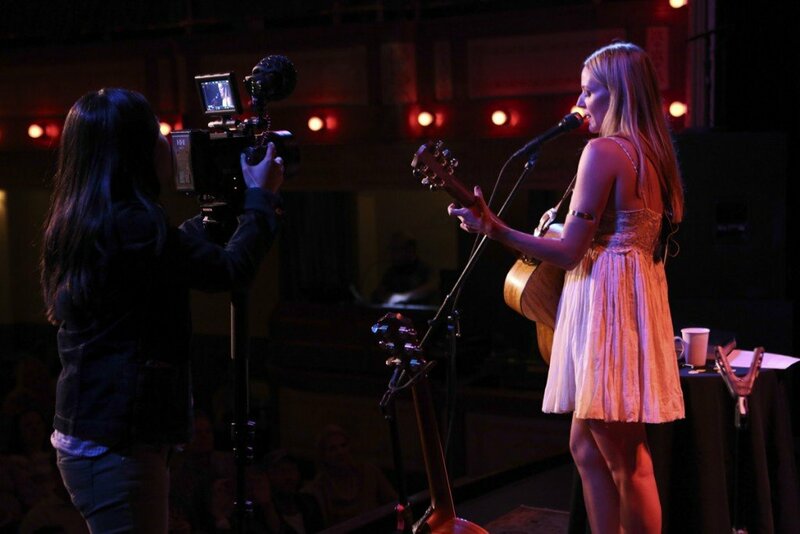 The third camera that Goose is shooting with is for behind-the-scenes. So, if I understand correctly, most of the scenes were shot with one camera. But in a scene like Byron’s mentoring, where you are trying to capture a real-time event and have no opportunity for stopping the action, what was your approach to cover the action and yet pick up multiple angles (without distracting the attention of the participants on what Byron was saying)? I assume you go in with a plan. Trying to guess what the action will be ahead of time? What strategy did you use in this case? We’d fall back to the keywords and realize what that scene represents, then talk to Byron and figure out what he’ll be sharing with the kids and roughly in what order. In essence it’s exactly what you’re saying, go in with a plan and be proactive vs. reactive. Most importantly though, it’s about being present so that you are really paying attention to what’s going on in the room. Byron probably spent a good 30mins speaking to the kids but we really only need a couple minutes for the movie so it’s just being strategic about where to be at the right time. We know we need an opening shot to the scene, a couple of key lines from Byron (we can find out in general what those are ahead of time), reactions from Sharice/Glen watching, reactions from the kids and a closing shot. The opening and closing shots are relatively easy. We’d coordinate with the counselor ahead of time so we are in the room and rolling before the kids come in, entering is a natural opening shot. As for the closing sequence we just need to realize when we have everything else we need and wait for some kind of thank you, good bye or in this case, fist pumps and high fives to end the scene. Patience is a beautiful thing. We know Byron will probably say something important at the beginning and at the end of his time there so once we get a few lines of what we need in the earlier part of the session we can move onto getting reactions of the kids and mom/dad watching. Once we have those we go right back to staying on Byron, all the while keeping an eye out for special reactions (like Glen crying) or any of the kids who look particularly interested / bright. Alls that to say we go in with a tight game plan but also stay present the entire time, being very aware of what’s going on and how it relates to our keywords for that scene, so that should something spontaneous happen we are ready to capture that in real time. Hope that helps! Congratulations! Stillmotion continues to be an inspiration. amazing breakdown Joyce! You really show the connection between technical decisions and story. Will share it on mentorless Sunday’s newsletter, thanks for your generosity! It’s not always easy to balance the amount of tech vs. story so glad to hear you enjoyed this breakdown! If you had asked me if I wanted to watch an almost hour long video on public housing, I would have said no. But “Our Journey Home” was totally engaging from start to finish and made me challenge some of my own thoughts about the homeless. Tech is very important, I know, but this video would have been great even if it had been shot on a $300 camcorder. It just excites me more about the MUSE training I am currently involved in. Of course, but as toy lover, I have to constantly remind myself that it’s more important to produce than it is to chase the latest video thingy. Absolutely. I’ll take iPhone and story over Epic and no story all day long. I probably should have said this first, the videography was amazing! Joyce Tsang Would it be rude to inquire where you come from?? What was your reason for choosing the RED Epic over something like the C300 Mkii? I am in the planing stages of a documentary and trying to figure out what camera would be best for us. Well for one we started this doc before the C300 MKII was announced or available. We chose the RED Epic for several reasons. 1. 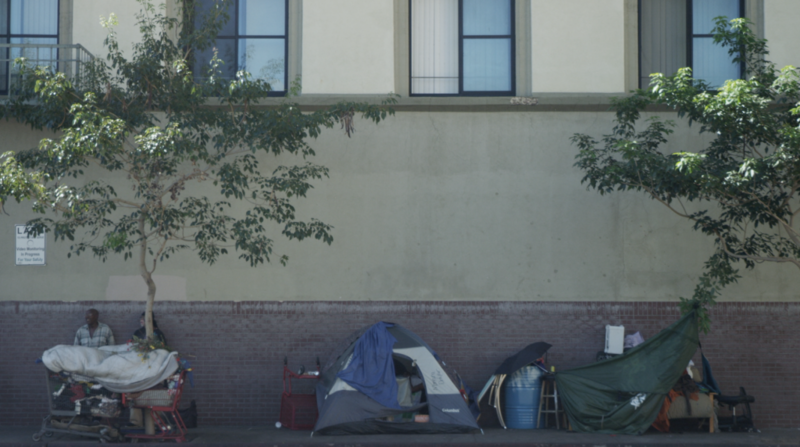 This is a documentary that explores homelessness with real people in real live environments and we needed a camera that can handle less than ideal lighting conditions well. And by that I’m referring to how it handles things like mixed lighting, skin tones etc because while we’ll modify light when we can, this is still a documentary and we won’t be able to do that everywhere so having that extra helps a ton. 2. 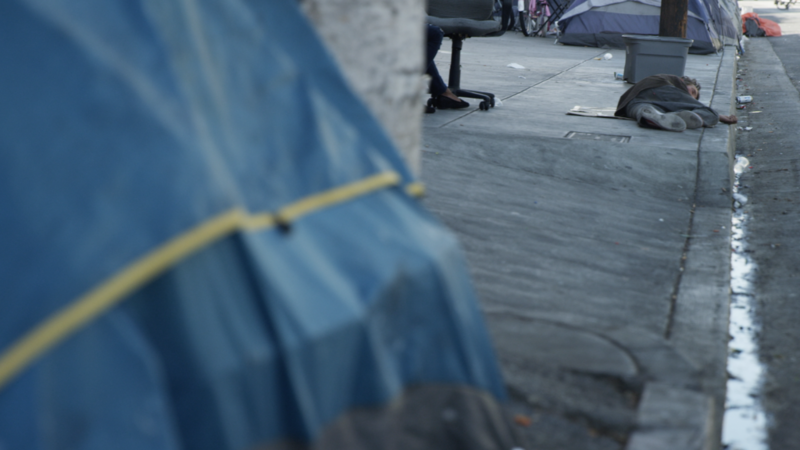 It shoots RAW so we can really push the image in post – accentuating the coldness of the homeless or the warm of a home. We could have gone with another cam and external recorder to get a ProRes feed but that isn’t quite the same and we’ll have gear and more tech to deal with, which I’d avoid whenever possible, especially when working with smaller crews. 3. Most of the production these are one-camera shoots so it’s great to have the 5K/4K resolution so we can say punch in on a 1-camera interview in post if needed. I always advocate for getting things right in camera as much as possible but having the room to adjust the framing and composition slightly in post is a nice bonus. So really it’s a combination of things that contributed to this decision and overall I’m happy with how it turned out. That’s certainly not to say it’s the only choice and had we started this doc now the C300 MKII would be worth considering. Man, what a great documentation! So close to the different lives, as if I would have been there. So emotional, that I could feel with them. So inspiring, that I look up many websites after watching it – to see what we can do in our country. Thanks for this great work!